Here’s Christian von Koenigsegg playing a Regera exhaust like a trombone. 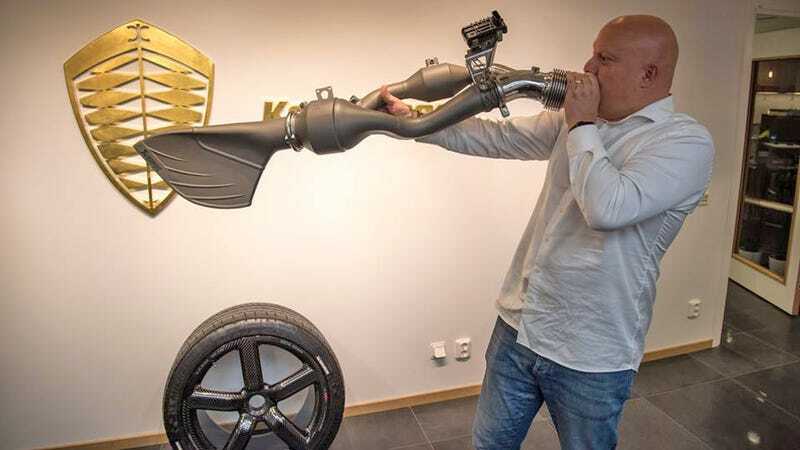 Here’s Christian von Koenigsegg playing a Regera exhaust like a trombone. That Aircore carbon fiber wheel wrapped in Michelin’s finest? $16,000. Photo credit: Koenigsegg.